Disclosure: This is a sponsored post. All thoughts are always my own. This post contains affiliate links. Bake some Jack Jack Cookie Num Nums and get ready for the latest adventures of the Parr family in Incredibles 2! In Incredibles 2, Helen (voice of Holly Hunter) is called on to lead a campaign to bring Supers back, while Bob (voice of Craig T. Nelson) navigates the day-to-day heroics of “normal” life at home with Violet (voice of Sarah Vowell), Dash (voice of Huck Milner) and baby Jack-Jack—whose superpowers are about to be discovered. Their mission is derailed, however, when a new villain emerges with a brilliant and dangerous plot that threatens everything. But the Parrs don’t shy away from a challenge, especially with Frozone (voice of Samuel L. Jackson) by their side. That’s what makes this family so Incredible. My family absolutely loved this movie. It was such a great follow up to the original film and so great to continue on where the characters had left off. 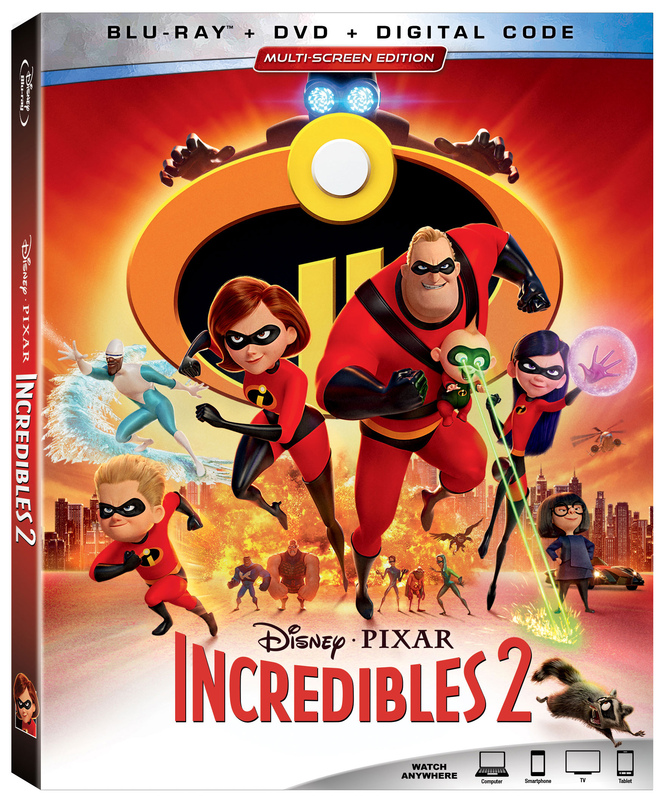 Incredibles 2 is now available in stores and online. You can purchase it from Amazon.ca using my affiliate link now. I truly think this movie makes a great stocking stuffer or gift this holiday season! Looking for more fun Incredibles 2 themed merchandise. Check out these great gift ideas. 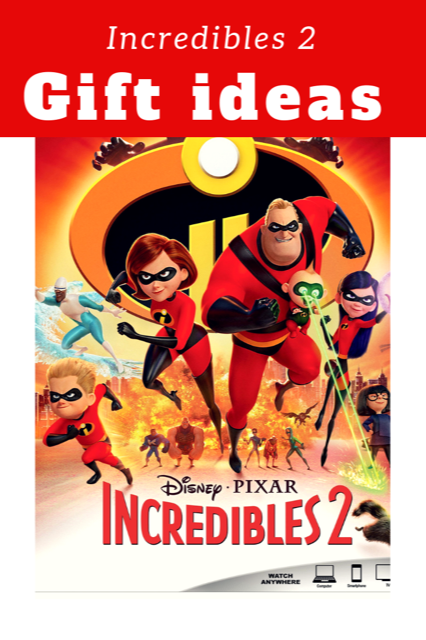 The team at Disney/Pixar wants you to enjoy Incredibles 2 with your family. Enter to WIN a copy of the Blu-Ray/DVD now. To enter, tell me your favourite character from the Incredibles series. Then, fill out the Rafflecopter form below. Giveaway open to Canadian residents. Giveaway runs from Nov 14 – Nov 22, 2018. Mandatory question must be answered to be eligible to win. See my terms & conditions for full giveaway info. Void where prohibited. My favourite character is Elastigirl/Helen because she is all about her family. Favourite character is Violet! I love the idea of young girls feeling like superheros!! They all are great but Jack Jack is the cutest!! Thanks for the chance! I like Helen because it is important to show strong women characters. I like Helen because she is a Super Mom! My favourite Incredibles character is Violet! Has to be the cutest character ever Jack Jack! Bob for is unintentional humour. Elastigrl,because she is so witty. Frozone! Because Sam Jackson is perfect in the role and a great supporting character. I like Jack Jack because he’s so unpredictable and funny. Jack Jack gotta love the Babys. I love Elastigirl because she hold her family together. She’s a mom and wife of supers and a super herself. I haven’t seen the second movie yet, but I would really love to watch it with my family. Edna Mode is my favourite because she is creative, practical, smart and eccentric. Jack Jack is my fave as hes so cute! Jack Jack is my favourite character as he is unpredictable. I like Elastigirl or Mrs. Incredible because she can stretch any part of her body up to 300 feet and can be 1 mm thin. Who wouldn’t want that body?! Mr. Incredible is my favourite. He is so funny. Mr. Incredible is my favourite Incredible character. I like Violet! I always related to her as a young shy girl myself. Elastigirl is my favorite as it would be such an exciting super power to have. I like Frozone the best, he has some great lines and a fun attitude. Mr Incredible is so funny , I love them all though , can’t wait to see number 2 ! Jack Jack is my favourite character. I haven’t seen the second one yet but in the first one Jack Jack and Edna are my favourite characters. Jack Jack because he’s so unpredictable and Edna because she is so understatedly cool and I love her matter-of-fact way. I love Mr. Incredible, he makes me laugh with some of his antics!